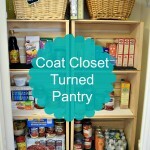 * This post is sponsored by Maykke.com, an online shop for fine home furnishings and accessories. 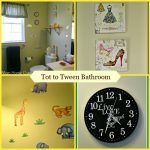 I recently restyled the bathroom on my home’s main floor. Now I’m looking to add luxury and style to my home’s other two bathrooms. 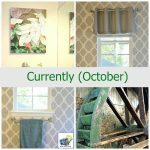 So, I decided to create a mood board of beautiful items from Maykee.com for a gorgeous luxury master bathroom. 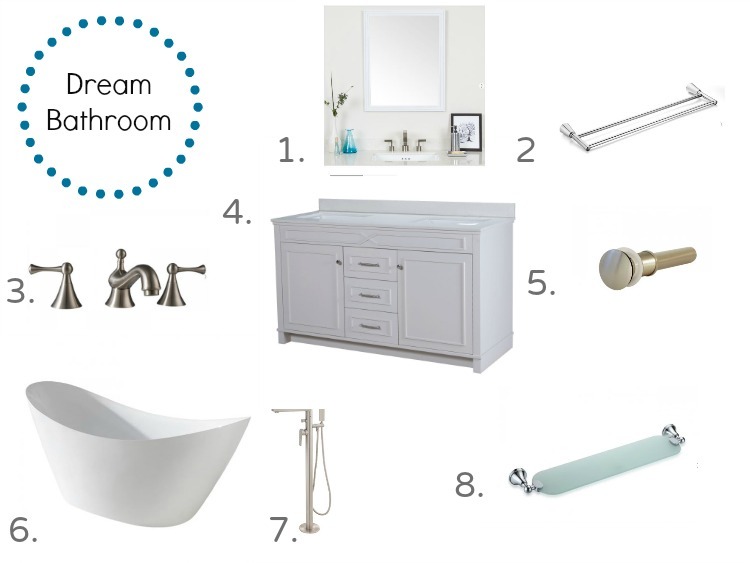 I picked a few luxury items that I’d love to see in my home’s master bathroom! 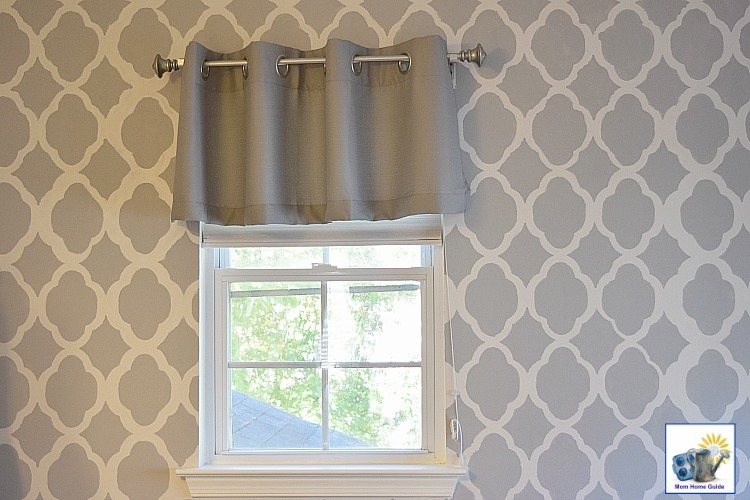 I recently stenciled a gray accent wall for my home’s master bathroom. The wall adds a lot of style to the space. 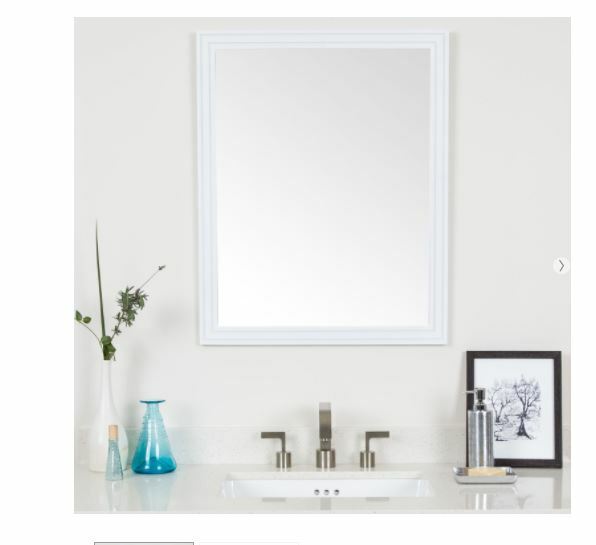 I’d love to get rid of the builder grade unframed double mirror in my home’s master bathroom. I think two of the Cosette Framed Mirrors in White would look beautiful in the space. 2. 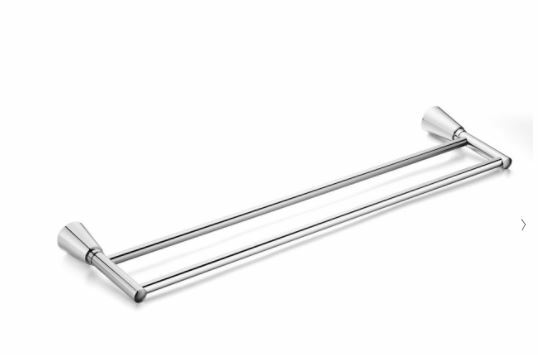 Soma Double Towel Bar. I love the Soma Double Towel Bar. When I’m in the shower, I like to keep both my robe and towel handy, and the Soma Double Towel Bar has room for both! 3. Andante 3-Piece Lavatory Faucet. 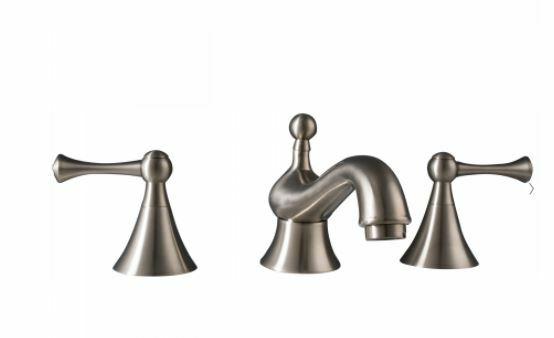 My bathroom already has some brushed nickel hardware, so I think the Andante 3-Piece Lavatory Faucet set would go perfectly with my master bathroom. Maykke has many stylish bathroom faucets available. 4. Abigail Vanity Set in White. I’d also like to add a stylish double-sink vanity to the bathroom. I’d love a white double vanity with a white stone top to set off the gray in the bathroom. 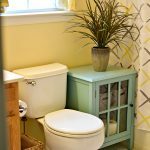 Maykke.com has a lot of gorgeous bathroom vanities and bathroom vanity sets. 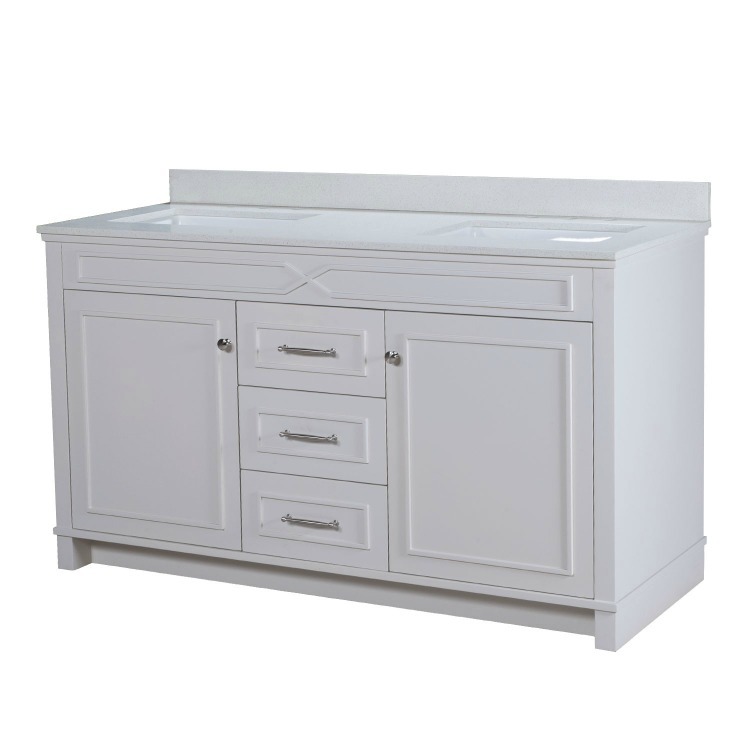 The bathroom vanity set I have my eyes on is the Abigail vanity set in white. The vanity has an off-white quartz countertop, soft-close hinges, adjustable shelves and drawers and brushed nickel hardware. I think it’s beautiful! 5. 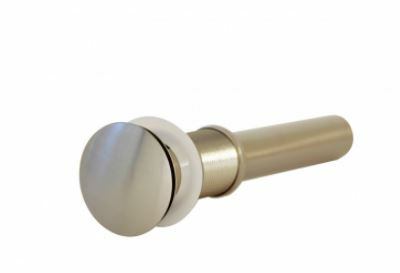 The brushed nickel umbrella drain would coordinate well with the Andante 3-Piece Lavatory Faucet. 6. Bel Freestanding Bath Tub. I love the look of a freestanding tub, and I think the Bel Freestanding Tub is lovely! The tub has exceptional insulation to keep bath water warm longer. 7. 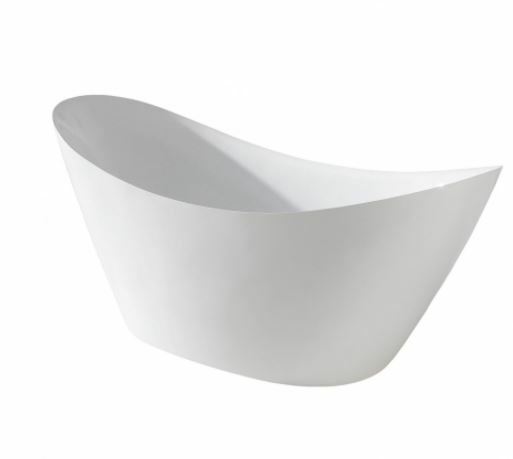 The Bel Freestanding Tub requires a freestanding faucet. 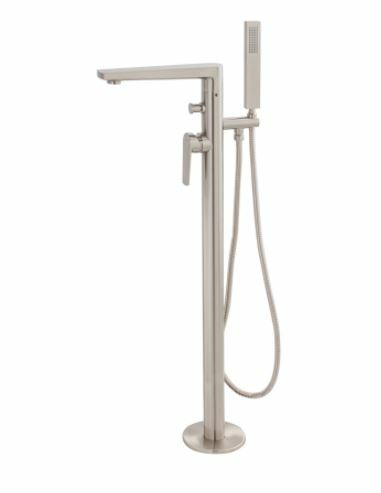 The Adalbert Freestanding Single Faucet in brushed nickel would work perfectly. 8. Powell Glass Shelf. The Powell Glass Shelf, which is available with brushed nickel accents, is an excellent look for either a modern or a traditional bathroom. I would love to replace my bathroom’s practical but not stylish oak shelving with three of these shelves. What items would you put in a luxury bathroom? I’d love to hear your ideas in the comments! That vanity is gorgeous! I would love to redo the floors to some faux wood in my bathrooms eventually. Always something I want to do! Great choice on the bathtub! Your mood board looks nice, I would recommend trying something more decorative for the mirror. Hello Lauren, This post is really nice. 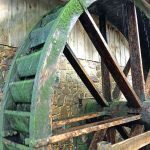 I just loved your blog. Now, I’m looking to add luxury and stylish decorations to my home’s other bathrooms. You have shared such a nice idea with us. 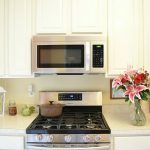 I liked a few luxury items that I will love to see in my home’s master bathroom. Thanks and keep sharing. I like the designs it was so trendy and classic.